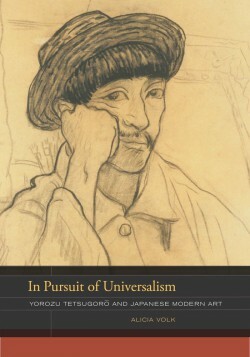 In Pursuit of Universalism is the first comprehensive, English-language study of early twentieth-century Japanese modern art. In this groundbreaking work, which is also the inaugural recipient of the Phillips Book Prize (awarded by the Phillips Collection Center for the Study of Modern Art), Alicia Volk constructs a critical theory of artistic modernism in Japan between 1900 and 1930 by analyzing the work of Yorozu Tetsugorō, whose paintings she casts as a polemic response to Japan’s late-nineteenth-century encounter with European art. Volk places Yorozu at the forefront of a movement that sought to define Japanese art’s role in the world by interrogating and ultimately refusing the opposition between East and West. Instead, she vividly demonstrates how Yorozu reframed modern art’s dualistic underpinnings and transposed them into an inclusive and synthetic relation between the local and the universal. By looking closely at questions of cultural exchange within modern art, In Pursuit of Universalism offers a new and vital account of both Japanese and Euroamerican modernism. Volk’s pioneering study builds bridges between the fields of modern and Asian art and takes its place at the forefront of the emerging global history of modern art.